Description This is an enhanced print from the glass plate negative; see 684b; photo taken by Will Bickner. The Old River Rd. bridge is now a footbridge in George Rogers Park. 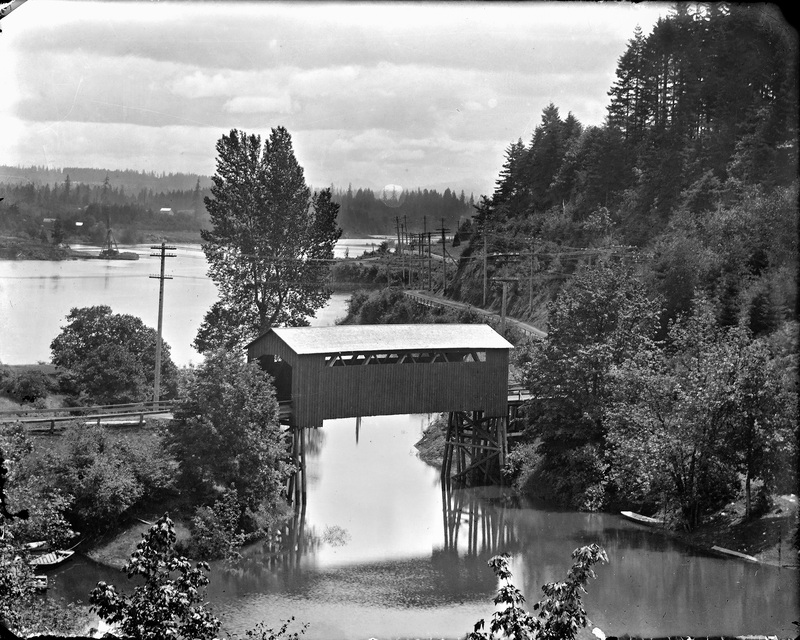 [Written on the negative sleeve]: Covered bridge over Sucker Cr.